What's new on this Web site, and what's happening with Amazing British Columbia will be posted here for you. 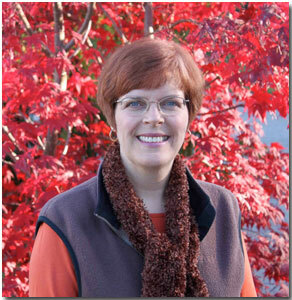 Continue reading "About Audrey Owen Author of Amazing British Columbia"
Want to know more about Haida Gwaii? Read the references and find links for information about the Haida Gwaii, the H entry in Amazing British Coumbia: A Natural History From A To Z. Continue reading "Amazing Haida Gwaii In British Columbia"
Want to know more about earthquakes? Read the references and find links for information about British Columbia's earthquakes, the E entry in Amazing British Coumbia: A Natural History From A To Z. Continue reading "Earthquakes In Amazing British Columbia"
Continue reading "The Illecillewaet Glacier of Amazing British Columbia"
Once in may and starting again now, august22. We are in Kelowna. Should I be worried?thanks for your time, the tree is aprox. 12 years old. Continue reading "Caribou, One Of The Ungulates Of BC"
Continue reading "The Amazing Nakimu Caves of British Columbia"
Want to know more about the black bear? Read the references and find links for information about British Columbia's black bear, the B entry in Amazing British Coumbia: A Natural History From A To Z. Continue reading "Black Bears of Amazing British Columbia"
Continue reading "Xeni Gwetin of the Nemiah Valley in Amazing British Columbia"
Want to know more about salmon? Read the references and find links for information about the amazing BC Pacific salmon, the S entry in Amazing British Coumbia: A Natural History From A To Z. Continue reading "BC Pacific Salmon"
Want to know more about the marmot? Read the references and find links for information about British Columbia's marmots, the M entry in Amazing British Coumbia: A Natural History From A To Z. Continue reading "The Amazing Marmot of British Columbia"
Continue reading "Looking for good jade properties in BC"
Want to know more about BC jade? Read the references and find links for information about British Columbia's jade, the J entry in Amazing British Coumbia: A Natural History From A To Z. Continue reading "Amazing Jade of British Columbia"
Want to know more about BC's fjords? Read the references and find links for information about British Columbia's fjords, the F entry in Amazing British Coumbia: A Natural History From A To Z. Continue reading "Amazing Fjords Of British Columbia"
Want to know more about Powell River? 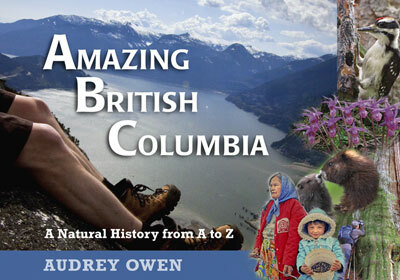 Read the references and find links for information about British Columbia's Powell River, the P entry in Amazing British Coumbia: A Natural History From A To Z. Continue reading "Powell River of Amazing British Columbia"
Some amazing British Columbia towns begin with A. Those are the towns you will learn about here. Abbotsford, Alert Bay, Anmore, Armstrong, Ashcroft, and Atlin. Continue reading "Amazing British Columbia Towns A"
Want to know more about zinc? Read the references and find links for information about British Columbia's zinc, the Z entry in Amazing British Coumbia: A Natural History From A To Z. Continue reading "Zinc in Amazing British Columbia"
Want to know more about Race Rocks? Read the references and find links for information about British Columbia's Race Rocks, the R entry in Amazing British Coumbia: A Natural History From A To Z. Continue reading "Race Rocks of Amazing British Columbia"
Continue reading "Della Falls On Vancouver Island In Amazing British Columbia"
Continue reading "Amazing British Columbia Towns"
"BC Jade" marked antique small bear w/ salmon in mouth! Bought in BC as a gift in the 30s. Marked BC Jade small (1x1 inch, on base) carved bear with a salmon in its mouth! Amazing carving job. Perfect condition. Continue reading ""BC Jade" marked antique small bear w/ salmon in mouth!" Want to know more about geoduck (gweduck)? Check the references and find links for information about British Columbia's geoduck, the G entry in Amazing British Coumbia: A Natural History From A To Z. Continue reading "The Amazing Geoduck Of British Columbia"
Want to know more about yew trees? Read the references and find links for information about British Columbia's yew tree, the Y entry in Amazing British Coumbia: A Natural History From A To Z. Continue reading "The Yew Of Amazing British Coumbia"
Continue reading "rare woodpecker ?" Continue reading "The Giant Pacific Octopus of Amazing British Columbia"
Continue reading "Stewart Black Bears"
Want to know more about the woodpecker? Read the references and find links for information about British Columbia's woodpeckers, the W entry in Amazing British Coumbia: A Natural History From A To Z. Continue reading "Woodpeckers of Amazing British Columbia"
Two trips, mainly through the southern part of BC have resulted in hundreds of sales of Amazing British Columbia. Many bookstores now have it on their shelves as do some galleries. It is also selling well in the Tourist Information Centers. If you can't find a copy in your own community, send your local book seller to this Web site, or drop me a line yourself using the contact link on the left side of each page. Continue reading "Buy Amazing British Coumbia"
Continue reading "Teacher Resource For Amazing British Columbia"
Continue reading "About Amazing British Columbia"
Continue reading "Western Redcedar The Amazing Tree of Life"
Continue reading "Praise For Amazing British Columbia"
Want to know more about dogwood? Read the references and find links for information about British Columbia's dogwood, the D entry in Amazing British Coumbia: A Natural History From A To Z. Continue reading "The Amazing Pacific Dogwood of British Columbia"
Want to know more about calypso? Read the references and find links for information about British Columbia's calypso, the C entry in Amazing British Coumbia: A Natural History From A To Z. Continue reading "Calypso Bulbosa of Amazing British Columbia"
Want to know more about Quesnel Lake? Read the references and find links for information about British Columbia's Quesnel Lake, the Q entry in Amazing British Coumbia: A Natural History From A To Z. Continue reading "Quesnel Lake of Amazing British Columbia"
Want to know more about lynx? Read the references and find links for information about British Columbia's lynx, the L entry in Amazing British Coumbia: A Natural History From A To Z. Continue reading "Lynx of British Columbia"
Thanks to Wendy Crumpler and some wonderful photographers, Amazing British Columbia has a cover. That's an amazing step forward toward final printing. I thought you might like to see what it looks like, just to whet your appetite. Continue reading "Amazing BC News"
Continue reading "Contact Amazing British Columbia"